New fall / wintercollection from Iron Fist! 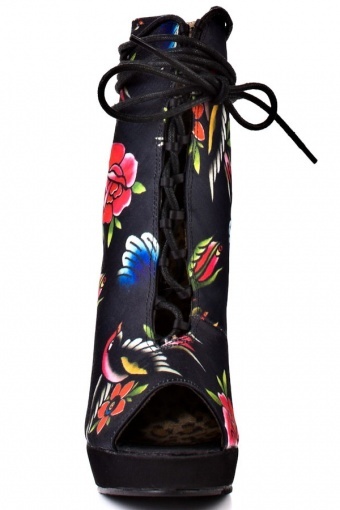 Society Bootie Black. 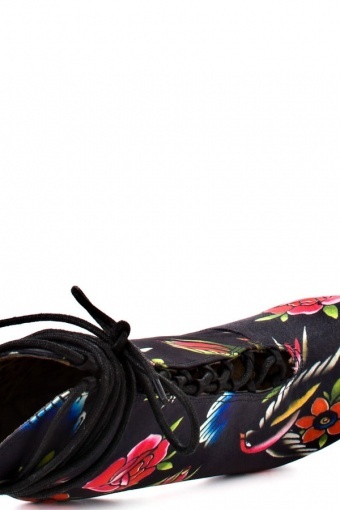 You'll stand out in society with these brilliant satin beauties from Iron Fist. 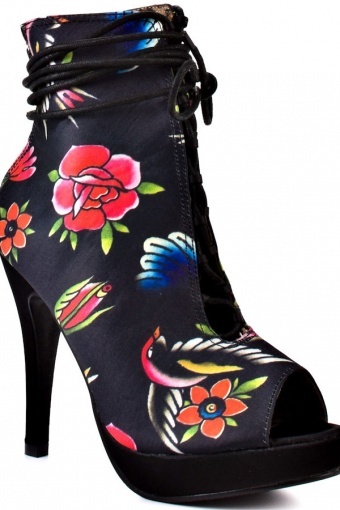 This peeptoe bootie has a black satin covering the upper with a floral print pattern. 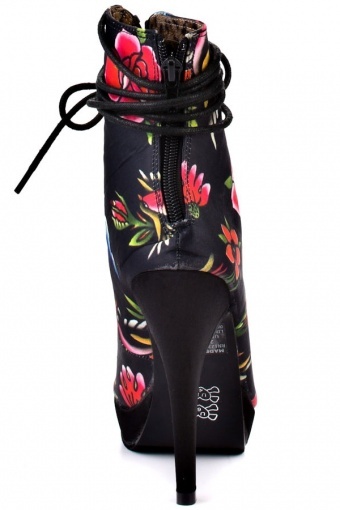 A lace up vamp, a 3/4 inch platform and 4 1/2 inch heel completes this outstanding peep toe style.